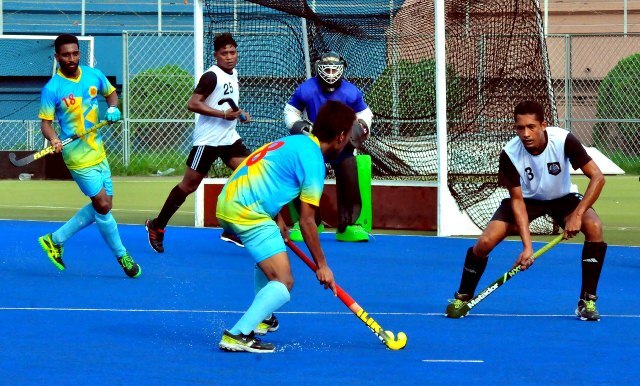 Dhaka Abahani Limited maintained their all-win record in the Green Delta Insurance Metropolis Premier Division Hockey League crushing Dhaka Wanderers Club by massive 13-0 goal at the Maulana Bhashani National Stadium here on Thursday. With the day’s well-merited victory, Dhaka Abahani shared the top slot with their archrivals Dhaka Mohammedan SC securing 21 points from straight seven matches while defending champions Dhaka Mariner Young’s Club followed them neck and neck collecting 18 points from straight six matches, one match less than the leaders. In the day’s match, Krishna Kumar made a hat-trick scoring three goals, Tajuddin Ahmed, Arshad Hossain, Gunasekar and Mohammad Mohsin contributed two goals each while Shohnanur Rahman Sabuj and Musa Miah netted one each for the traditional sky-blue Dhanmondi outfit.